Pool Parties have become massive in Ayia Napa over the past couple of years and they now rival going to the beach as the top thing to do in the daytime. Ayia Napa is no longer just for partying at night, the day times are just as awesome! ​Ayia Napa's main venue for daytime pool parties is the Pambos Napa Rocks hotel in the centre of town. 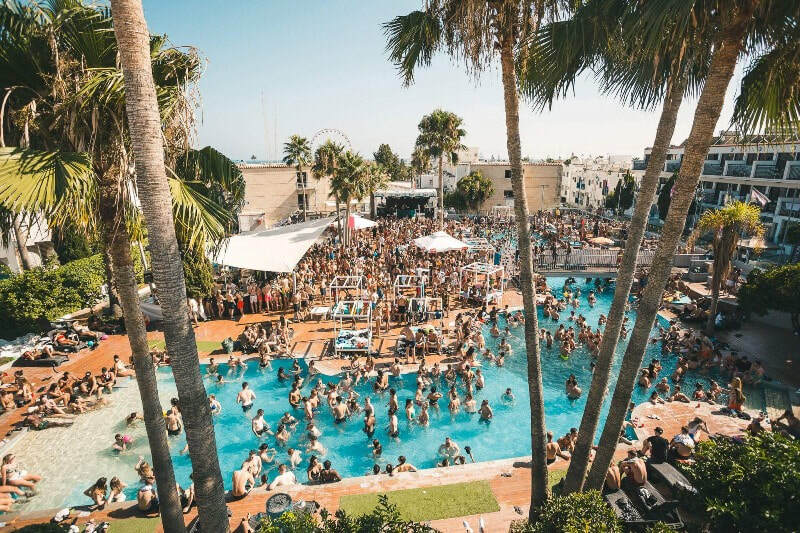 It boasts a huge pool arena, loads of deck space for dancing, mingling and sunbathing and it plays host to some top name DJ's and artists through the summer. Pool parties are held on several days a week and are open to non-residents. No holiday to Ayia Napa is complete without a wild and crazy pool party! ​Book your tickets below. The infamous Pambos Thursdays Pool Party is now in it's 6th year and is well known as the messiest and wildest daytime event in Ayia Napa. Taking place on the spacious sundeck of the Pambos Napa Rocks Hotel, the event sees party people in their thousands having an awesome time round the pool while special guest DJ's and headline performers provide an electric atmosphere. This is an Ayia Napa must do event! 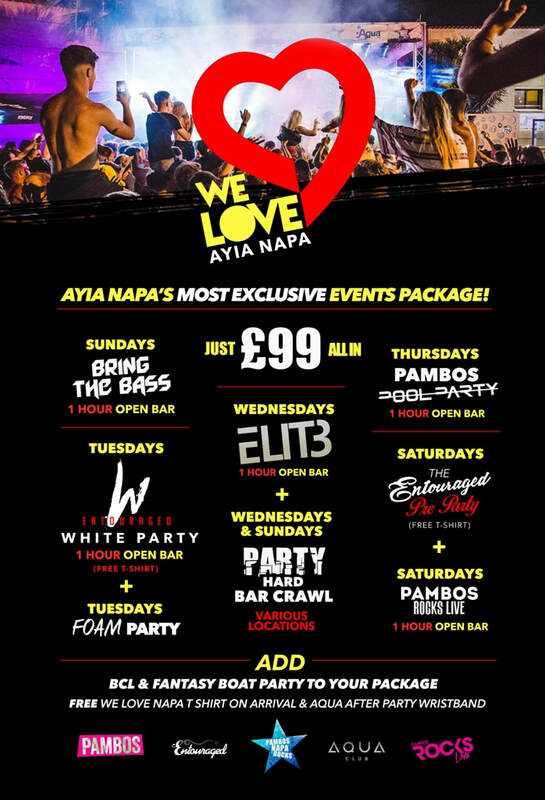 Get Pambos Pool Party and a whole bunch of other great Ayia Napa events for just £99 with this discounted Ayia Napa events package.